This show was originally broadcast over the air in Los Angeles on January 20, 2018. The podcast is divided into two one-hour segments, the second appearing as the first file on the site and the first hour immediately to the right, the one with the picture of the moon. In 1872, Samuel Butler published a kind of utopian satire that he titled Erewhon. Butler wanted the name to be "nowhere" spelled backward but realized it would be hard to pronounce, so he transposed the"h" and the "w" to be "AIR - a - wan." It's an odd book, but the title makes an admirable theme for this podcast. All of the songs in the show will be about places that do not exist in our real, three dimensional world - and you might be surprised by just how many of those songs there are. Parts of the second half of the "O Canada!" radio show broadcast in Los Angeles on March 18th, 2017. 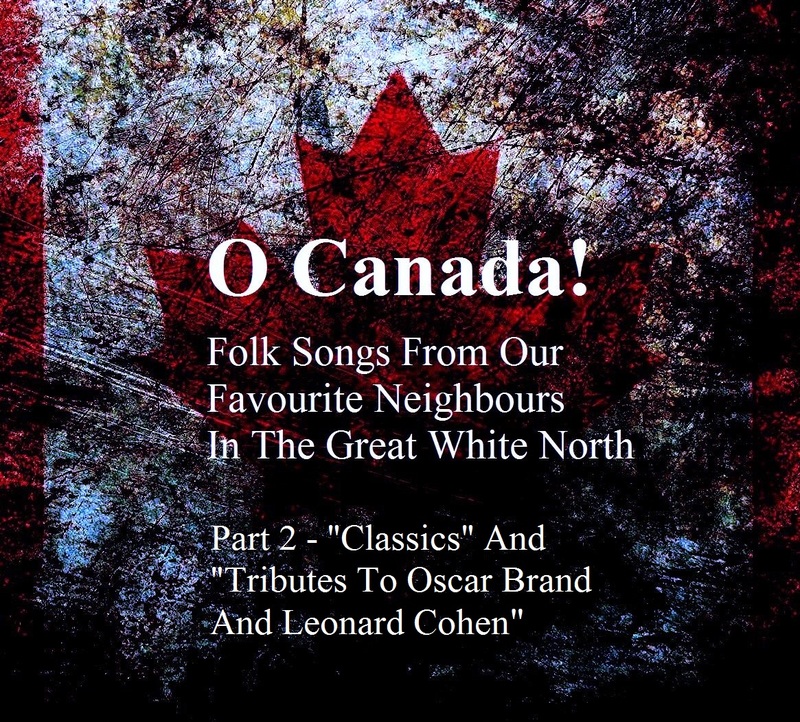 One segment includes several classic Canadian roots songs, and the other consists of reflections on the lives and careers of two folk icons of the country who passed away in the latter half of 2016, Oscar Brand and Leonard Cohen, with representative musical selections from each. Roots Radio 18 - "O Canada! - Folk Songs From Our Favourite Neighbours In The Great White North"
Songs old and new, traditional and modern, in French and English from the large and friendly country to our immediate north - a country with its own vibrant folk traditions and active folk music culture to this very day. 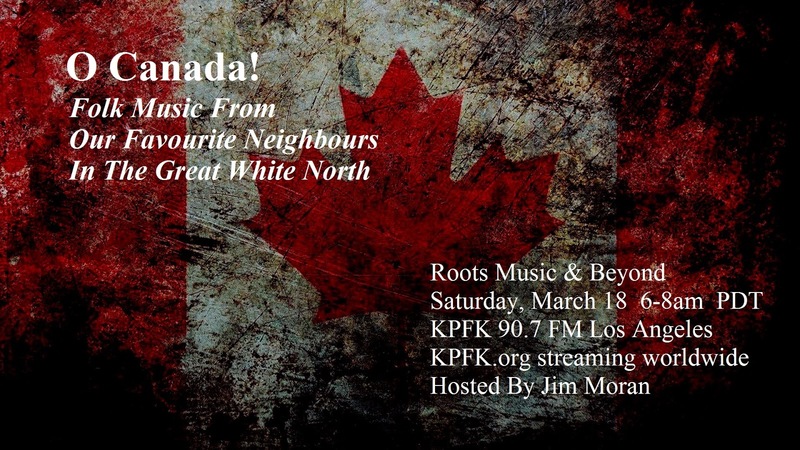 This is the first hour of a March 18th radio broadcast, one that features among other music some of the roots music winners from 2016 for both the Juno Awards (Canada's Grammys) and the Canadian Folk Music Awards. For The Season #9: "Good King Wenceslas"
One of the ongoing pleasures of the holiday season for me is revisiting Charles Dickens's A Christmas Carol, first in its original format as a novella - and a ripping good read it is and remains being - and then in looking at several of the almost 30 film versions out there today, most all of which make a commendable effort to translate to the screen a complex narrative replete with interior monologue from the storyteller. No single movie of the tale manages to relate the full work in all of its deliciously Dickensian asides and details, and directors inevitably must choose which aspects of the Carol that they want to emphasize. 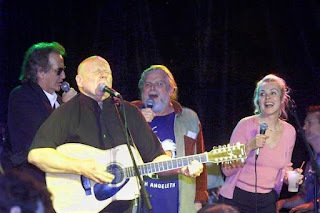 Should the redemptive transformation of an old curmudgeon take center stage, or should the more explicitly religious idea of a hell-bound monster derailed from that destination by the intercessory power of a loving God be the point of emphasis? The cute little crippled and dying boy or the deeply loving nature of his devoted father and the clearer but tougher vision of his mother? The evils and injustices of the world and the society portrayed in the book (and this is, as we shall see, a large part of the author's intent) or the power of a right-minded individual to rectify some of those evils and injustices? Like all great stories, A Christmas Carol speaks to each of us in different ways. If you haven't read it of late and/or if you mainly know it or only know it through one or more of the films, it might not be a bad idea at all to give the original text another look. It's not long, it's available free online at multiple sites, and you might well be surprised how much of the original story hasn't made it into any of the movies - and how much of the tale is spot-on relevant today and how thoroughly its importance and its value transcend the Christmas season. It is a book for all seasons in its attempt to wrestle with the same issues of social justice and welfare that have raised their heads into elections around the world in the last year or two, and it emanates from the exact same time, place, and cultural context of its analogue in popular folk music, the great (post) Christmas carol "Good Kings Wenceslas." And "Wenceslas" most emphatically is a folk song. Its lyrics, characterized as they are by the call to works of charity in the closing couplet, were the sole work of High Church Anglican priest and composer John Mason Neale (1818-1866), but the melody was delivered to Neale by his choirmaster and collaborator Thomas Helmore (1811-1890), who had found the tune (a spring carol called "Tempus adest floridum" or "The time of flowers has come") in an already-ancient book of anonymous medieval songs from Finland. Now, Neale and Helmore together left a powerful and deep mark on the music of Christmas that we know in English today, having composed and/or re-worked the best-known Advent carol in "O Come, O Come Emmanuel," two very popular Christmas songs in "Christ Was Born On Christmas Day" and "Good Christian Men, Rejoice," and the only St. Stephen's Day carol that most of us have ever heard, "Good King Wenceslas." He became as good a friend, as good a master, and as good a man, as the good old city knew, or any other good old city, town, or borough, in the good old world...and to Tiny Tim, who did not die, he was a second father. It is that "wealth or rank possessing" note by Neale that draws him closest in theme to Dickens. Charles D. was most certainly a liberal reformer in his day, having been born into a middle class family that had fallen on hard times resulting in several nightmare years in his childhood that saw him living in workhouses (an enforced servitude of the homeless and jobless poor, notorious for their exploitation and harsh treatment of their residents) and even debtor prisons with his father. These experiences clearly became the grist for the plot lines of some of Dickens's best-known and most successful novels - David Copperfield, Oliver Twist, Hard Times, and of course A Christmas Carol among many others. Dickens came to regard both Adam Smith's promulgation of unregulated capitalism and John Stuart Mill's Utilitarianism as pernicious lies that ignored the realities of the lives and plights of his own childhood and of millions of others like him in the Industrial Revolution era of the United Kingdom. Neale shared many of Dickens's convictions, but please. We are not talking here about bomb-throwing anarchists or even members of Britain's incipient Socialist movement. We are talking about a pair of Victorian gentlemen of the upper middle class, High Church Anglicans both, men whose response to the savage inequities of the 19th century capitalist economy would warm the cockles of even the flintiest of hearts of modern American conservatives. For Neale and Dickens both believed that poverty could be alleviated and economic injustices resolved by moral action from those of wealth and privilege, not in the patronizing manner of the French concept of noblesse oblige but rather in the high-minded understanding of the Christian imperative to care for those in need. Dickens's reformed Scrooge and Neale's Wenceslas are literary embodiments of that belief, deeply held by both writers. Seedlings, working through the mould, now make up for lost time. This is the longest-running iteration of the group that will celebrate its 60th anniversary next year, the configuration that has been touring together since 2005 and that features Bill Zorn doing the lead with the King's dialogue and George Grove and Rick Dougherty harmonizing beautifully with the page's lines. That kind of antiphony is characteristic of much medieval music, even if Grove's tastefully understated banjo line is not. Shaw's always tasteful arrangements and disciplined direction are here enhanced in this 1990s recording by baritone Victor Ledbetter singing the King's lines and mezzo-soprano Katherine Murray as the page. The poor we have always with us, as Scripture reminds us, and both Charles Dickens and John Mason Neale use the Christmas season and its attendant joy to inspire people of good will everywhere to do what they could to meet the challenge of dealing with that sad fact. Their solution may not be mine and may not be yours, but it is an idea worthy of the earnest men who propounded it a century and a half ago. 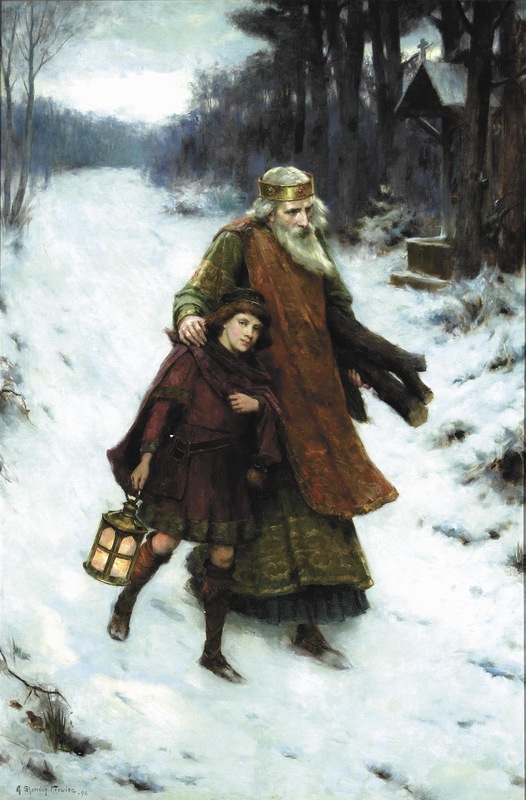 May we all feel blessed enough this Christmas season to share some of what we have with those who have less and bring the reformed miser and saintly king to life once again in our own world. *The first eight songs in this series of holiday-related folk tunes include #1 - "We Wish You A Merry Christmas"; #2 - "All Through The Night/Ar Hyd Y Nos"; #3 - "When Was Jesus Born/The Last Month Of The Year"; #4 - "Gloucestershire Wassail Song"; #5 - "Sing We Here Noel"; #6 - "The Bitter Withy/Mary Mild"; #7 - "The Coventry Carol"; and #8 - "The Cherry Tree Carol." Other Christmas-themed articles on CompVid101 include "The White Snows Of Winter", "Children, Go Where I Send Thee", "The Virgin Mary Had A Baby Boy", "Riu Riu Chiu/Guardo Del Lobo", and "Go Tell It On The Mountain".